I got to see some pretty large cows today, lucky me! As I was leaving the grocery store with my son this morning, the tractor trailer shown below drove up from the back of the store towards the street. My son and I ran to the street to take a picture as it was waiting at the traffic light. 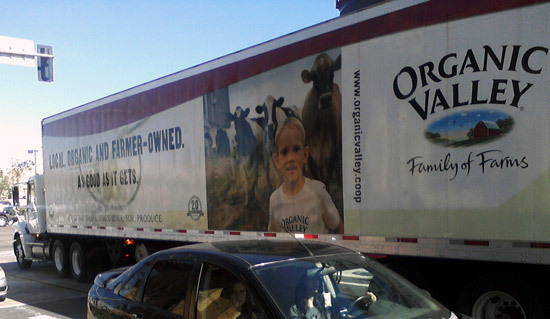 Organic Valley truck with lots of cows! 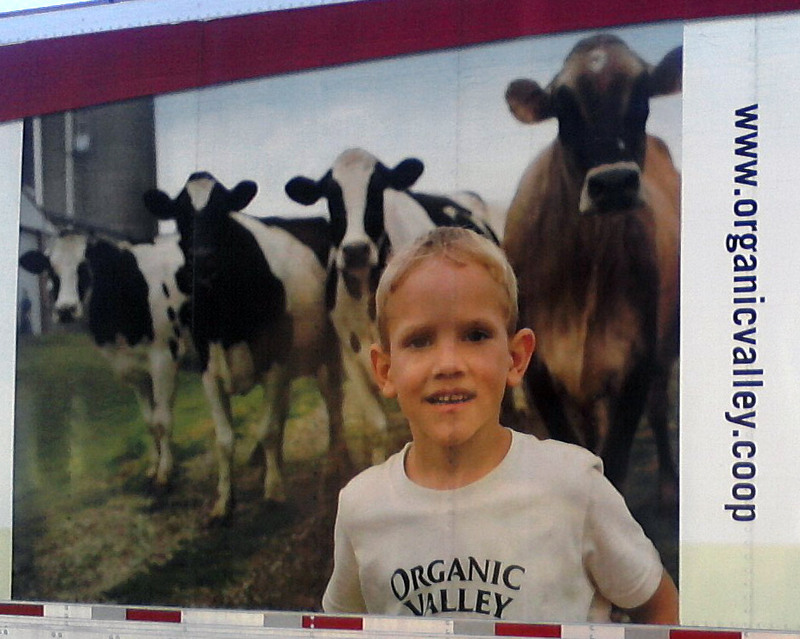 Are you ready for a close-up of the organic dairy cows? Here it is! Well, I’m glad I saw this truck while I was on foot because I think I’d freak out if I saw those huge cows riding side by side with me on the road! Previous Post Look out for the bonanza of cows! Next Post Today’s cow is so happy, it’s “The laughing cow”!